The Formula 1 Lotto System makes big claims that you will win 8.7 out of every 10 times you play the lottery. The system is said to be developed by Glen Hooke a 63 year old MIT Professor which took 27 years to develop and he will sell it to you for a hefty price through ClickBank with full rock solid 60 day money back guarantee. Later we found this so called Professor has changed the amount of years he said he took to develop the system from 27 years, now to only 9 years. Is this Professor for real? Does not even know how long it took him to develop his own system, totally ridiculous stuff. The real reason the years were changed is the first lie of 27 years was to far fetched, so tried to make it sound more realistic, but this only showed the true fact nothing was for real. Now let us tell you what else we found out from investigating many Formula 1 Lotto system Reviews. At first we studied all the many reviews on the internet we could find and found one very similar thing about each good review on this lottery system. All of the reviews are totally false! The reviews were all written by affiliates selling the system for commission and are simply Not True! As we dug deeper we found there is no such person Glen Hooke MIT Professor who supposedly develop the Formula 1 Lotto system, he is just made up character to sell a hyped up false product. The system it’s self is just your average very common type lottery system which in reality only gives you about a 2% win rate, which is very low and does NOT give you anywhere near the claimed win rate of 8.7 times out of 10 winning results. If a true MIT Professor was to develop a real lottery system it would most certainly not take 27 years or even 9 years, what was this seller or should I say marketer thinking when putting together this phony scenario for a bogus lottery system? Also, I would like to point out we did find older sales pages for the system that stated other false advertising claims about the Formula 1 Lotto System, so yes, caught yet again in another series of lies! Now to move on to the testimonials about the system. There is simply no proof any of the testimonials are real and we have found a couple to be totally fake for sure, so if there are even a couple of fakes, you can bet all of them are most likely fake! The Formula 1 Lotto system is looking more like a bad dream rather than a winning lottery system so far. It says on the sales page for the Formula 1 Lotto system hundreds of people that used the same software (Formula 1 Lotto system), have won big time playing their favorite lotto games. So where are all these winners? We checked high and low and could only find real users of this system that state it won them nothing at all. You would think at a few of these winners would be around on lottery forms, review sites and blogs, but no, nothing, there are No Winners, all again false advertising and B.S! The last check we did on this Formula 1 Lotto System review was to see what the reputable lottery system review sites were saying. What we found was unanimous reviews stating the system is full of hype and false advertising, No winners, No guaranteed refunds being honored, the system is total nonsense! You now know the Truth! If you want to use a lottery system, move on to real tested and proven systems that have verified lottery winners and really do win lottery games such as the Lotto Guy System or the worlds top wheeling system Smart Play Lotto Wheels as these two are verified real winning systems. Finding good lottery systems that actually work are getting harder and harder with all the B.S systems flooding the market by marketers looking to make fast money from you, so be careful and choose your lottery systems wisely. 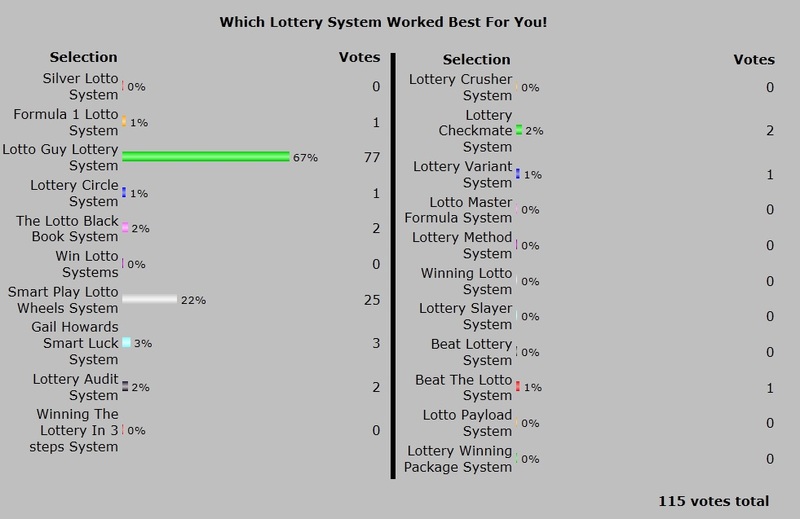 If you need more proof the Formula 1 Lotto System is not a good winning system, just take a look at the latest best winning lottery system poll results, it shows very clearly which systems real users voted on as best winning systems. This entry was posted in Lottery and tagged formula 1 lotto system, Formula 1 Lotto System Reviews by Lotto. Bookmark the permalink.